What are my chances of getting into an accident with a truck? Driving next to a large truck isn’t something that many drivers of smaller vehicles look forward to doing. After all, truck drivers have difficulties seeing cars around them because of their size, and driving next to a vehicle that has that much power and weight to it is quite intimidating. Unfortunately, car vs. truck accidents are quite common, and often, the driver of the smaller vehicle typically gets the brunt of the injuries. But what may come as a surprise to you is that cars are usually the culprit of these accidents. According to a recent report that revealed the results of a study that evaluated over 8,000 vehicles involving car and truck accidents, car drivers caused the accidents 81 percent of the time. This is likely due to how many drivers cut trucks off and don’t give the trucker time to stop before a collision occurs, or runs into the truck while it is attempting to make a wide turn. The scary fact is, your chances of getting involved in a truck accident are quite high. According to the U.S. Department of Transportation (DOT), around 500,000 trucking accidents occur in the United States each year, and about 5,000 of those accidents are fatalities. Additionally, about one out of every eight traffic accidents that occur involve large trucks. 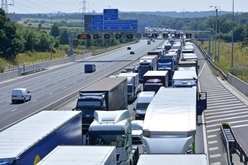 What’s even more frightening is that when it comes to tractor-trailer accidents, 98 percent of fatalities involve those in the passenger vehicles. Inclement weather. Any type of vehicular accident is more likely to occur when the weather is far from optimal. Rain and snow can make the surface slick, causing vehicles to lose traction and become jackknifed or overturned. Since the DC area experiences just about every type of weather imaginable, there’s a high chance that you could be involved in a truck accident that was caused by poor weather conditions. Other driver error. Spending time on interstates 95 or 495 isn’t for the faint of heart, particularly during rush hour. These busy roads are constantly crowded with drivers who are in a hurry and are inconsiderate of the drivers who are traveling around them. As a result, many drivers drive aggressively or operate their vehicles in unsafe manners, such as changing lanes too quickly. If a driver makes a mistake while on the road, a truck driver likely won’t have time to react safely, and could possibly create an accident because of it. Blind spot accidents. You’ve probably seen signs on trucks that say “If you can’t see my mirrors, I can’t see you,” and that is true. If you aren’t able to see the side mirrors on a truck because you are riding too closely, chances are, the truck driver has no way of even knowing you are there. Furthermore, trucks are filled with blind spots where the trucker is unable to see what is happening around him. For instance, the sides of the truck, along with the front and back, aren’t clearly visible to a driver, and if a vehicle is moving along in these areas, the driver likely won’t see it. This is quite dangerous, as the trucker could attempt to turn or switch lanes completely unaware that a passenger vehicle is in the blind spot. Truck accident victims are often plagued with life-changing injuries that can affect them for the rest of their lives. Not only can these injuries be devastating, but they can be costly, too. If you don’t think it’s fair to be held responsible for costs related to an accident that wasn’t your fault, you’re not alone—because we don’t either. The attorneys at Kennedy Hodges, LLP, work hard to help truck accident victims receive the compensation they deserve. Call us at 855-947-0707 to schedule your free appointment and speak with an attorney about your situation. Do you have any tips for driving defensively? Aggressive driving is one of the biggest problems that motorists face. Drivers who speed, tailgate, switch lanes dangerously, and operate their vehicles in ways that could hurt other motorists on the road are considered drive aggressively. In addition to making driving difficult for others who are on the road at the same time, aggressive driving is dangerous. Although the number of accidents caused by aggressive driving is difficult to quantify, a study conducted in 2009 by the American Automobile Association found that aggressive driving played a role in 56 percent of the accidents that took place between 2003 and 2007, with speed being the biggest factor. Drive slowly. Driving fast puts you at risk for getting into trouble with the law—it also increases your chances of becoming injured in an accident. Drivers who travel above the speed limit are often involved in collisions because they aren’t able to stop their vehicles as fast as is sometimes needed. Additionally, speeding increases the chances of losing control of your vehicle, which could cause a serious accident. 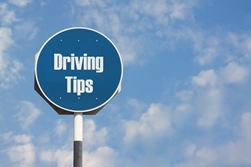 Driving slowly, however, gives you more time to react to your surroundings and situation, which could stop a dangerous accident from taking place. Stay focused. Accidents often happen because of situations that occur in the blink of an eye. Many times, you won’t be able to stop when a vehicle cuts you off, or turn out of the way if a driver runs through a red light—if you are distracted by something else in the car. But by keeping all of your attention on what is occurring around you, you will have a better chance of avoiding a potentially deadly collision. Keep your distance. Part of driving defensively is keeping yourself out of harm’s way. Defensive drivers often react quickly to the behavior of other drivers, and by staying away from the vehicles in front of you, you have a chance to keep yourself safe. Always keep at least three to four seconds of time between you and the vehicle ahead of yours. Additionally, drive on areas of the road which are the least crowded. Have an escape route. Victims of aggressive driving aren’t often aware they are in danger until it is too late. If you notice someone is yelling at you, charging at your vehicle, or acting in other aggressive and frightening ways, you should attempt to safely remove yourself from the situation. Look for a busy area that is easy to get to if you feel threatened, such as a shopping center. Having other people around could prevent an aggressive driver from taking action against you. Getting off of the road also gives you a chance to calm down so that you can focus on driving safely. Don’t assume. Becoming distracted or forgetful while driving is rather easy. How many times have you noticed your turn signal was still on far after you changed lanes or turned? The same situation happens to other drivers, as well, and assuming they are turning or performing some kind of action could put you in trouble. Always take your time and see how the situation unfolds before you move. Aggressive driving often leads to dangerous accidents that can leave victims with debilitating and lifelong injuries, in addition to expensive medical bills. If you were hurt in an accident, contact the attorneys at Kennedy Hodges, LLP. We may be able to help you receive financial compensation that can help you pay for the expenses related to your accident. Contact us today by calling 855-947-0707 to find out how we may be able to help. I’m confused as to whether or not I’m entitled to overtime, how do I know if I’m an independent contractor or an employee? Working in the oil and gas industry often requires extra hours over and above the standard 40-hour work week. This is a demanding industry that demands a strong work ethic and commitment to the job. Many oil and gas workers do an excellent job of fulfilling their commitments. Unfortunately, some employers try to avoid compensating workers fairly for the overtime hours that they put in by misclassifying them as independent contractors rather than employees. Do you typically work without supervision? Do you use your own tools? Do you work with more than one company or client at a time? Do your earnings depend greatly on your own managerial skills and your productiveness, as opposed to the success of the company you are working with? Are you typically told which job site to report to? Do you decide which projects to take on? If the answers to the above questions are no, chances are good that you have been misclassified as an independent contractor. As a result, you may be entitled to overtime pay. It is important to consult with an attorney to learn more about your legal rights as an oil and gas worker. We encourage you to reach out today for more information at (888) 449-2068. How do oil and gas companies violate wage and overtime laws? Working in the oil and gas industry is often difficult and may require long hours in physically demanding positions. Employees who work more than 40 hours in a week are entitled to overtime compensation under the law unless they meet one of a handful of limited exceptions to the rule. If you are an employee in this field and are not receiving overtime compensation, it is important to assess whether your company is committing a wage or overtime violation. You are a field service worker. Many companies in the oil and gas industry employ field service workers whose job it is to provide service to the company’s clients or assist the company in its operations. Examples of field service workers include field service engineers, mud engineers, tool pushers, technicians, and tanker men. Often, oil and gas companies pay their field service workers either a fixed salary, a day rate, or a per job rate. The companies may claim that the employees are therefore not entitled to overtime pay. This is not often the case, however, Field service workers typically do not fall within any of the stated exemptions from overtime pay under the law. As a result, a field service worker is entitled to overtime compensation if he or she works more than 40 hours in a given week. If you are a field service worker in the oil and gas industry and your company informs you that you are exempt from overtime compensation, you may therefore be entitled to overtime pay that you were wrongfully denied. You received bonuses or other forms of extra pay and it was not considered as part of your overtime compensation. When employees in the oil and gas industry are paid bonuses, this is typically done as compensation for work performed in the past. As a result, the pay should be included when calculating the employee’s overtime rate. For example, if you are paid $20 per hour, but are given a non-discretionary bonus at the end of the week, your hourly rate should be adjusted upwards. This then means that your overtime pay rate should be increased. Some employers do not do so, and instead fail to readjust the employee’s overtime payments for the period of time covered by the bonus. If you work in the oil and gas industry and received a bonus, you may be entitled to unpaid overtime compensation. Your company labeled you an independent contractor. Under the Fair Labor Standards Act, independent contractors are not entitled to overtime compensation. However, an employer cannot simply deem an employee an independent contractor in an effort to avoid paying overtime compensation. There are various factors that dictate whether a person is an independent contractor vs. an employee. However, if you are economically dependent on the company and not in business for yourself, then you are an employee and are entitled to overtime compensation if you work more than 40 hours in a week. You are an assistant manager. If you are an assistant manager level employee, you are entitled to overtime compensation even if you are paid a salary, unless you fall under the executive exemption of the Fair Labor Standards Act. There are three tests to determine whether this is the case. First, your primary duty must be management of the company, department, or subdivision. Second, you must regularly direct the work of two or more other full time employees. And finally, you must have the authority to hire or fire other employees, or at least to make suggestions and recommendations with regard to hiring, firing, promoting, advancing, or other work status changes. In most cases, an assistant manager level employee is entitled to overtime. You are required to work certain hours, but are not paid for all of those hours. For example, if you are required to clock in at 8 a.m. and clock out at 5 p.m., but are then required to do work later in the evening from home, you are entitled to overtime compensation for that additional time. You were previously classified as being exempt from overtime compensation, but then were reclassified as being non-exempt. Once reclassified, your employer did not give you any back pay for the overtime that you previously worked. Employers are required to do so under the law. They also must pay you liquidated damages in many cases, which equates to double the amount that was originally owed to you. If you have reason to believe that you may be entitled to overtime compensation that you are not receiving, we strongly encourage you to seek professional legal assistance. To learn more about the overtime compensation that you may be entitled to, reach out today for more information at (888) 449-2068. I perform both inside and outside sales duties as part of my job. Am I exempt from overtime? These days, many people turn to online resources when they have a question. This first, information-gathering step is important for helping you understand your rights and what to do next, but when it comes to employment law, it often creates more questions than it answers. As a sales representative, you probably learned a lot about inside sales versus outside sales and what it means for your paycheck when you turned to Google for answers, but still it may not be entirely clear where you fit. As you learn more and run into more detailed questions, it’s time to consult directly with an attorney who can help you analyze your concerns more deeply. In truth, sales representatives perform a number of duties as part of their jobs, and these job duties don’t always fit neatly into one classification status or the other. For some employees, who split their time at work between and inside and outside sales, it can be extremely difficult to determine if you’re even eligible for overtime pay without a more thorough review with a legal guide. While it’s simple enough to ask an employee to perform multiple duties, it isn’t always simple to make sure that employees are being compensated appropriately when employers ask them to step outside the bounds of their stated job duties. If you believe that there may be a problem with how you are paid overtime as a sales representative, or if you simply have questions about your rights, don’t hesitate to call or email our experienced team today for a thorough review of your concerns and more information about taking action. How does a misclassified title affect my overtime wages when working in the oil industry? What can I do to make sure I get paid what I’m owed? You started working for a new oil company as a crane operator about a month ago. Since you started you’ve received two paychecks, both of which were missing hours. After receiving the first check, you went to your boss for an explanation and he assured you that it was because the first two weeks were considered training hours which are calculated differently. Fine. You can concede that that could have been the problem. Although you weren’t informed of the calculation difference when you were hired, you let that one slide. You were planning on working a lot of overtime in the next few weeks anyway which should make up for the short funds anyway. However, when you opened your second check and not only found that it too was wrong, but that your OT wasn’t on it, you were livid. Therefore, you discussed it again with your boss. After several days’ worth of brush-offs, delays, and “I’m looking into it,” he finally got back to you saying the check is correct based on your title and job requirements. 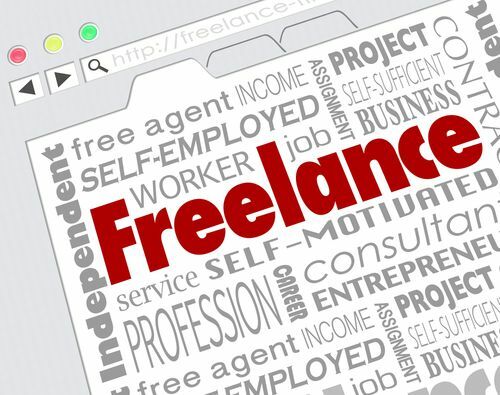 You requested to see your file and discovered that your boss had classified you as an “independent contractor,” although you’re a full-time employee. When you brought the error to his attention, he sheepishly said there was nothing he could do about it, and suggested that you take up any complaints with human resources. However, since your checks are accurate with your title, and you’re not eligible for time and a half for OT hours, there wasn’t anything else to discuss. That is absolute hogwash. You should get paid for your work no matter what you are classified as in your file. What can you do to make sure the company pays you what you’re owed? In 2012, the Department of Labor (DOL) began a special enforcement initiative into oil industry misclassifications and overtime pay abuse. As of August 2014, the agency has uncovered over 9,000 violations and recovered more than $13 million in back wages. As stated by Dr. David Weil, the head of the DOL's Wage and Hour Division, and corroborated by Rutgers University findings, “employers are looking for opportunities in a changing business landscape at the employee's expenses to cut corners as much as possible, leaving room for wage and hour violations." By doing something as simple as misclassifying an employee title, employers can save thousands of dollars, by essentially taking it out of that employee’s pocket. Standard wages. As an oil industry worker, your job is considered dangerous and therefore requires additional pay. However, if you’re classified as an independent contractor, your “client” can legally pay you less than minimum wage. Overtime pay. When classified as an independent worker, you’re exempt from FLSA OT regulations. Therefore, your employer can pay you a straight hourly rate no matter if the extra hours you put in are overtime or not. Unemployment insurance. Employers aren’t legally required to provide insurance for unemployment to contractual workers. Workers' compensation benefits. As an independent contractor, employers don’t have to honor workers’ comp since you’re classified as an independent worker. If you discover that your employer has misclassified your job as an independent contractor, contact us today for a free consultation. You deserve to be properly paid for your work. Don’t allow an error or deliberate trick to cost you. Do you want to protect your friends and family from overtime pay abuse? An easy way to help is to use your social media connections. By sharing this article on Facebook, Twitter, and Google Plus, you can keep your loved ones aware, and help keep their paychecks safe from continuous OT discrepancies. Simply click the media icons to post to your wall. Remember, a single post could wind up saving your friends hundreds if not thousands of dollars—isn’t that worth it? Need more information about oil industry OT pay? Contact us directly for a free consultation, or like us on Facebook for periodic updates and legal advice. How Can I Find Out If I Should Be Getting Paid for My Overtime Hours? Oil Jobs in Which OT Pay Is Commonly Abused: Is Yours One? Can I still pursue a wage claim against the gas company if I’m highly paid despite my unpaid overtime? Many fieldworkers in the oil and gas industries are afraid to pursue the back pay they are owed because they believe that they make too much to worry about it. However, although many positions in the field are highly compensated, it doesn’t give your employer free license to abuse your wage rights. Your rights to appropriate pay are protected under the law, and neither you nor your employer can choose to ignore the law. Unfortunately, lots of employers in the oil and gas industries attempt to “hide” wage abuses under generous starting salaries for their fieldworkers, especially in areas with new drilling prospects. Workers may be hesitant to report any complaints about wages because they are already so highly compensated, but truth is that many of them are working a shocking number of unpaid hours for the paycheck they do bring home. No matter how much or how little you make, you have a right to pursue a wage claim if your employer isn’t paying you appropriately. If you’re feeling a little guilty about pursuing a wage claim against an employer who is already compensating you generously, realize that your claim isn’t about personal greed—it’s about your employer following the laws that protect its workforce. Do you have questions about your wages or overtime pay as a fieldworker in the oil and gas industry? Take a moment to request and read our free guide, 10 Biggest Mistakes That Can Hurt Your Wage & Overtime Claim, and then contact our experienced employment law team directly for a free, no-obligation case review. Why am I hearing about so many overtime lawsuits involving the oil and gas industry? Increasingly, workers in the oil and gas industry are pursuing legal action against their employers due to unpaid overtime compensation. The problem with employees not being paid their rightful compensation is not a new one, however. The industry has long had an issue with wage and overtime violations. There are several reasons for the increase in legal action. Many employers simply do not fully understand the requirements of the law. For example, many employers believe that if a worker is paid a salary, he or she is automatically exempt from overtime compensation. This is not the law, however. 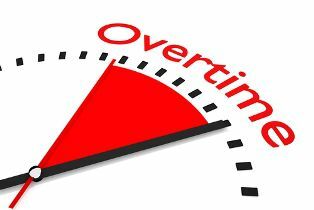 All salaried employees are not automatically exempt from overtime compensation. The U.S. Department of Labor has begun an initiative to target companies in the oil and gas industry who are misclassifying workers as independent contractors in order to avoid paying overtime compensation. The initiative first started in 2012 and continues today. With increased awareness of the widespread overtime and wage violation problem within oil and gas industries, attorneys and law firms have increased efforts to reach employees who may be potential victims. This increased awareness has led to more lawsuits, including those brought as collective actions against a particular employer. Some of these lawsuits have ended in multi-million dollar settlements. A natural downturn in the industry can also lead to increasing lawsuits. Employees who are laid off do not have the same fear of recourse by their employer as those who are gainfully employed. Similarly, laid off workers may have more incentive to pursue legal action against an employer for unpaid compensation since they are currently out of work. Many employees simply do not understand their rights under the laws. Unfortunately, many workers do not discover that they were entitled to overtime compensation until well after they initially took the job. To learn more about pursuing legal action for unpaid overtime compensation, we encourage you to reach out today for more information at (888) 449-2068.